Beautiful Cape Cod in desirable Hickory neighborhood! Spacious home with four bedrooms and one bonus room. Includes two fireplaces, an elegant dining room, a formal living room and an inviting family room with plenty of natural lighting including skylights. Master bath has jetted tub and separate shower. Second floor includes an open living area, 3 large bedrooms and a large bonus room. 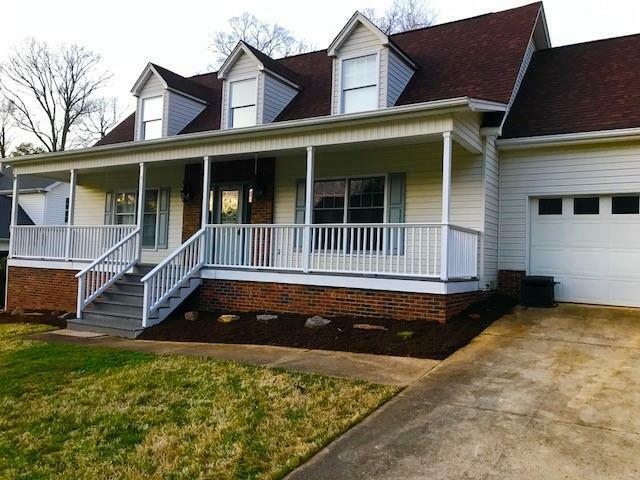 Outdoors enjoy a covered front porch, and a rear deck overlooking the in-ground pool. Come view this property this Sunday Feb. 10th from 2-4pm during our public open house.